Although writing reviews of remakes throughout last month was a lot of fun, there was one original that came to mind that I really wanted to review. The new month brings the opportunity to switch over and recommend the movie that inspired Ridley Scottâ€™s Gladiator. Itâ€™s Anthony Mannâ€™s Fall of the Roman Empire (1964). Many years campaigning and pacifying the frontiers of the Roman Empire have wearied Marcus Aurelius, played by Alec Guinness (who, thanks to make-up and costume is an absolute spitting image of a marble imperial bust). Although the emperorâ€™s health is deteriorating rapidly his wits remain sharp: he knows that his son Commodus, played by a young and seriously dashing Christopher Plummer, is unfit to rule. Aurelius decides that the soldier Livius, played by Stephen Boyd, should succeed him. In anticipation of the tumult this will cause the empire, soldiers arrange to hasten the death of Aurelius to ensure Commodusâ€™ unequivocal accession to the throne. Nobody can hate like a good man, and maybe that’s why Jimmy Stewart was so magnetic and moving in the hard-bitten Westerns he made with Anthony Mann after World War II. Stewart was a huge star at the outbreak of the war, during which he served with distinction. When the All-American, gee-whiz nice guy every dad hoped his daughter would bring home returned from military service, he was different, the country was different and his films didn’t do great box office. He might easily have appeared on a few TV shows and then drifted into retirement, as did many stars of his generation. But two magnificent directors saw other qualities in Stewart, including a capacity for rage, bitterness, grief, longing, cynicism and violence. One of them remains famous (Hitchcock), the other, sadly, has mostly been forgotten. 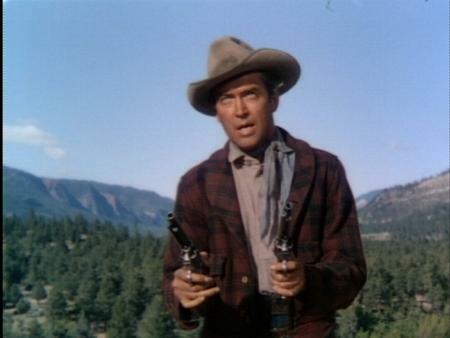 His name was Anthony Mann, and you could summarize much of his ouevre worse than saying it was “film noir goes west”. Their first collaboration, the 1950 movie Winchester ’73, remains famous today because it was a massive hit that revived the then somnolent Western genre. It’s entertaining on any dimension, but for Stewart fans it’s particularly fascinating to see the darkness in his acting. When Stewart’s grief-ridden character (Lin McAdam) mashes Dan Duryea’s face into the bar and painfully twists Duryea’s gun arm, the rage in Stewart’s eyes is frightening; Duryea looks scared that Stewart is really going to hurt him. The next two Mann-Stewart collaborations are somewhat less known today, which is too bad because they allow Stewart to go deeper into less seemly human emotions. They also both deliver thrilling action scenes. They are my weekend double feature film recommendation: 1952’s Bend of the River and 1953’s The Naked Spur. Let’s get one thing out of the way up front: The only plot elements in Strange Impersonation that are not utterly predictable are completely preposterous. But everything else is right in the under-appreciated Anthony Mann’s 1946 noirish tale of two formidable women locked in intellectual and romantic combat. The film was made just after the war, and could be interpreted in light of women’s changed roles and the desire of some people to change them back. Our heroine, Nora Goodrich (Brenda Marshall, in a multi-faceted performance) is an independent, brilliant researcher. When her suitor, Dr. Steven Lindstrom (William Gargan) tries to kiss her in the lab she withholds her lips and admonishes “Please dear, science.” Her able assistant, Arline Cole (Hillary Brooke, in her best film role other perhaps than Woman in Green), is a different sort of woman. Arline can’t understand how Nora is putting her career ahead of marrying Dr. Lindstrom. During a dangerous experiment, Arline proves to be the ultimate frenemy; disfigurement, murder, plastic surgery, stolen identity and romantic double dealing ensue. Lindstrom’s character is actually too dull for these powerhouse women to be fighting over, so forget him and enjoy the sparks between the female leads. Hillary Brooke was a much better actress than her appearances on the Abbott and Costello show let her demonstrate, and her malicious charm is in full flower here. The film’s budget looks to have been about 50 cents, but Mann makes the most of it by setting up some intriguing camera shots and keeping the pacing brisk. Props to the UCLA Film Restoration team for their work on the now sharp-looking print of this old movie. A great film? No. A good film that is worth 68 minutes of your time? Absolutely yes, and if you are in a country with access to hulu.com you can watch it legally and for free by clicking here.